An open world survival in development focusing on the beauty of art. 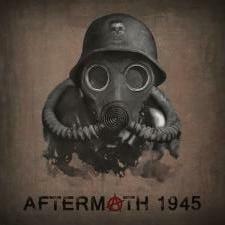 Aftermath 1945 takes you on a ride into alternate history. The second world war has come to an end but no peace has been settled for residing civilians and soldiers in the origin of the aftermath. Nazi scientists have failed to shut down and contain experimental labs, resulting in an outbreak that has wreaked havoc upon the land. Due to high threat levels, outside support cannot manage to intervene without direct notice of the wasteland's inhabitants. It's up to straggling survivors to take survival into their own hands and unravel the mystery of the supernatural events haunting the aftermath. Survival is our co-operative open world experience in development that offers both offline single-player and a host-session online multiplayer experience that allows for up to three friends (or random players) to collectivize and work together to scavenge, loot, support the growth of their outpost and fight to protect its walls in the aftermath together. This living world will give the player endless reasons to explore and interact with such as ongoing open world events ranging from hordes, rescues, and bosses. Players will be able to progress their survivor by leveling a tree of skills and beneficial traits. Survival is where the player will have to put their true strategy to the test by building the ultimate outpost and load-out to take on the aftermath. You build your story. Like survival, all environmental threats and events are still creeping around every corner, however, the player will be able to approach Quarantine solo or accompany up to three other players as a team against other teams bringing their survival strategies into play. All players start off with minimal firepower and are to work their way up the power scale by scavenging or crafting equipment and weapons with materials found throughout the aftermath. Double your resources by looting your player victims to increase your chances of success in your next battle. Players will be able to build their outposts with a few limitations as well as advance its upgrades for all-around defense against player attacks. Quarantine brings a nerve-wracking experience as players can lose all of their progress in a blink of an eye. Teams that are fully eliminated are removed from the match entirely. Players who are downed may crawl to safety and be picked up freely by allies. However, if eliminated, your team will need a revival syringe to bring you back into the fight which can be found in rare loot drops and/or crafted from a lengthy recipe of uncommon materials. If you believe you have what it takes, come prepared. Take a look at our current scenes we have to showcase. We will be bringing additional scenes ranging from open meadows, destroyed cities, and eerie locations unexplainable by scientists. Take a look at the current weapons we have to showcase. We will be bringing additional weaponry in the near future in our development including exotic designs. We are bringing a large amount of customization options into play for Aftermath 1945. We will have a collection of face presets and the ability to choose your faction you wish to represent. Factions will come with their own custom appearances and voice lines. Players will be able to change their gender only for the civilian faction. Players will be able to change their weapon skins, helmet skins, gas mask skins, uniform skins, and other types of cosmetics which will be announced in the near future. Below you find a collection of current helmets that we are able to showcase. Helmets alone will have a nice amount of customize-able features such as having your username and kill-count scratched on the side, displaying your rank as an insignia on the front, and displaying a sticker of choice on your helmet from our emblem collection. We will be bringing many helmets to Aftermath 1945 along with multiple variations of each one to provide a glamorous selection of brain buckets. Ward B is a team full of well-known game designers coming together from our own successful backgrounds to create something bigger than ourselves. However, with every great idea, requires funding. We greatly appreciate any and all support. Marcellino Sauceda is a highly experienced game designer that has supported various titles.